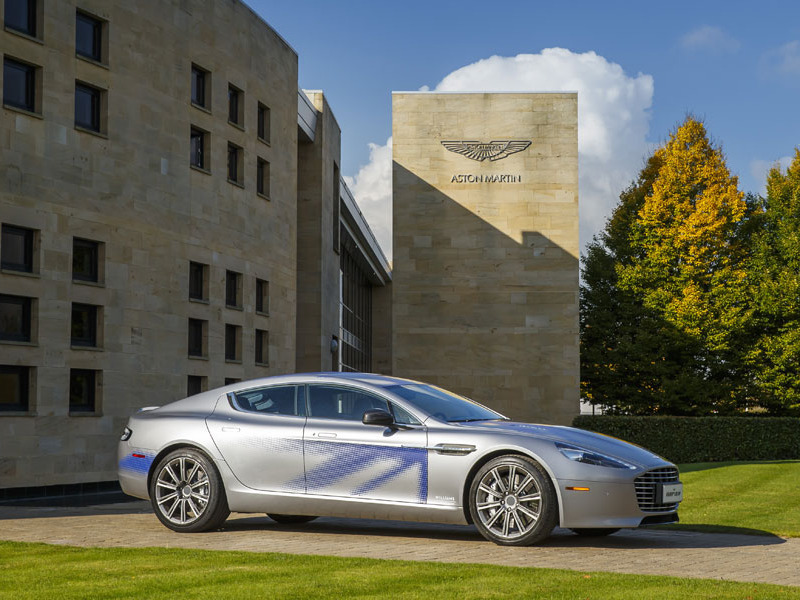 Aston Martin’s first electric car, the RapidE, is expected to arrive in 2019. The vehicle will reportedly cost $US255,000, and only 155 will be sold. Aston Martin’s CEO says that the ultra-exclusive car won’t compete with Tesla’s vehicles because it will be more luxurious than anything the electric carmaker offers. Aston Martin is building an all-electric sedan that the company’s CEO claims will be in a league of its own. CEO Andy Palmer said that the new vehicle, called the RapidE, is designed for exclusivity, and he suggested it will be better than anything Tesla has to offer, according to a report from Car and Driver. “For me Tesla is a very credible competitor in the premium market, against Daimler, BMW, Audi, and the others. But they’re not in the [upper reaches of the] luxury market where we are,” Palmer told Car and Driver. Palmer didn’t back up his bold claims with any new information about the RapidE, but the British luxury car maker said earlier this year that it plans a limited-edition run of the vehicle for release in 2019. Here’s everything else we know about the upcoming electric car so far. The company will only build 155 RapidE models for release in 2019. Aston Martin began taking orders for the vehicle in July, and it claims that it has already sold all of the 155 vehicles to customers, according to the Car and Driver report. The RapidE concept, which is based on the company’s Rapide AMR, is expected to have a range of at least 200 miles per charge and cost about $US255,000. 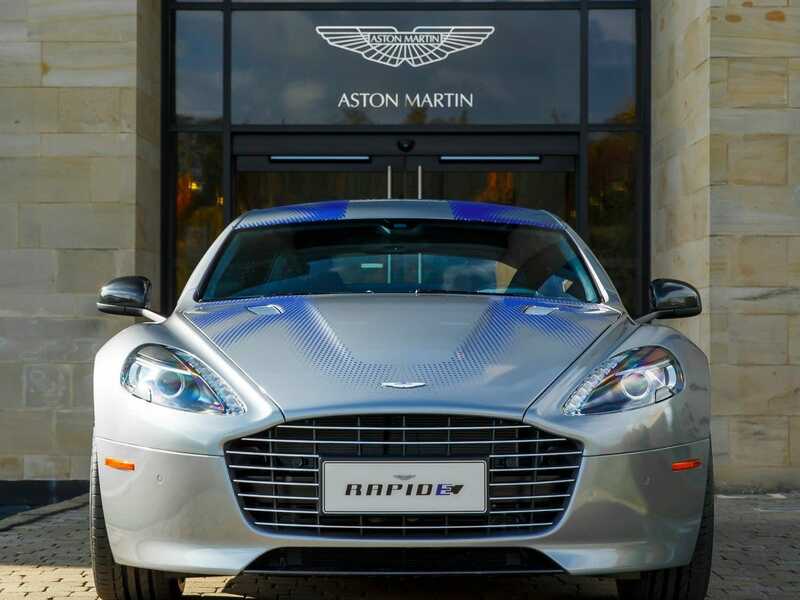 With only 155 going into production, the RapidE will undoubtedly be ultra-exclusive and pricey. “We’ve decided to make this car rare, which will obviously tend to push the price higher,” Palmer told Reuters in June. Most major automakers are planning to bring an electric car to market in the next few years, and just about all of them are promising their vehicles will have a range of at least 200 miles per charge. This is the sweet spot for most consumers worried about EV range, so it would make sense that Aston Martin’s EV will offer the same or superior range. 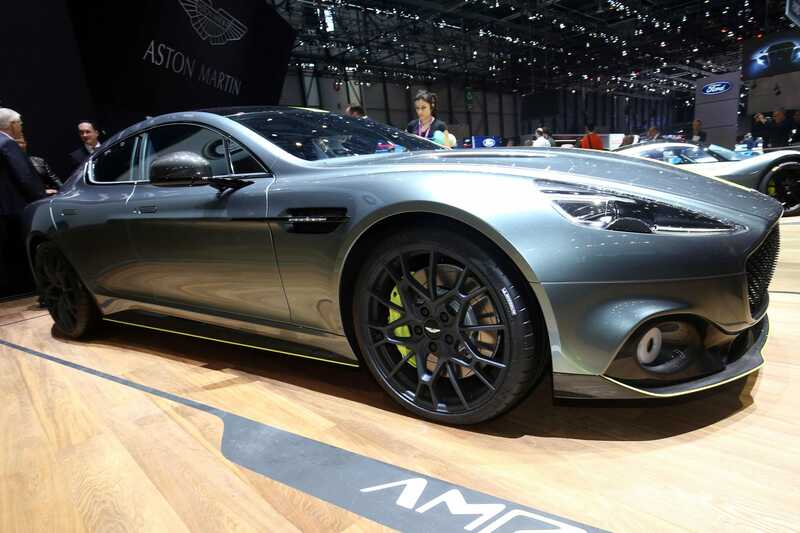 The carmaker reportedly aims for the RapidE to have 800 hp to 1,000 hp. 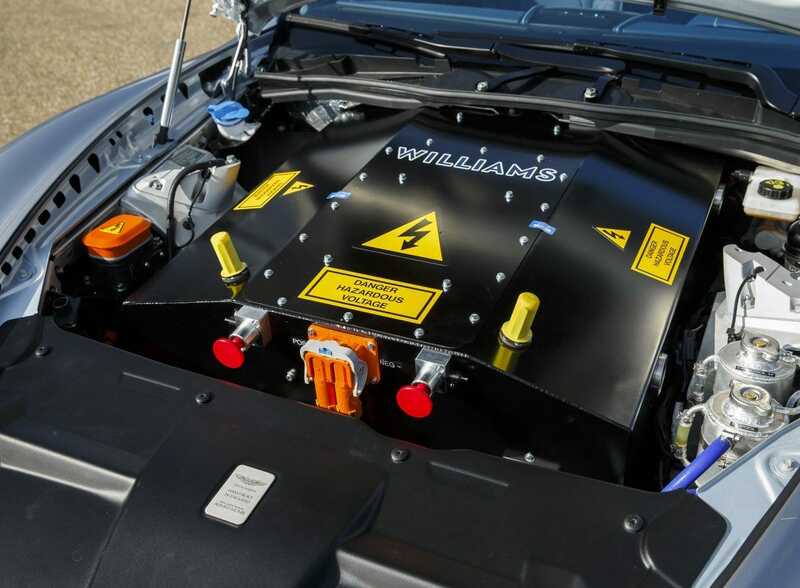 While the company hasn’t shared many specifics, Palmer reportedly hinted at what kind of power the car would have during the Bloomberg New Energy Conference in 2015. “We’re talking about an electric Aston Martin with between 800 and 1,000 horsepower – imagine having all that torque on demand,” Palmer said at the conference, according to a Bloomberg report. Aston Martin has run into some speed bumps in trying to get its RapidE into production. Salome Roessler/AP Images for Aston MartinA close-up view of Aston Martin’s RapidE concept vehicle following the announcement of a joint venture between Aston Martin and LeEco in 2016. 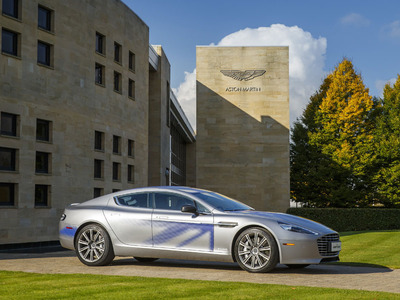 Aston Martin is working with the engineering firm Williams Advanced Engineering to build the batteries for the RapidE. But, it originally had an additional partner and an earlier launch date. 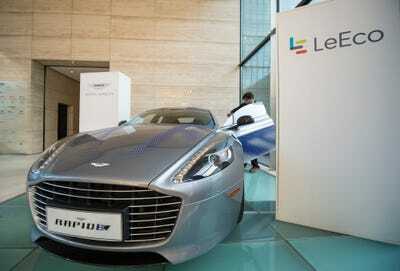 The company originally announced the car in 2015 and said in mid-February 2016 that it was teaming up with the Chinese technology firm LeEco (formerly LeTV) to develop a production version of its all-electric Aston Martin RapidE Concept. However, LeEco backed out of the project earlier this year, so the company decided to scale back the production of the vehicle from more than 400 units to 155 models and make it more exclusive, according to a Reuters report. The company also changed the timeline of the vehicle. It was originally supposed to go into production in 2018. Aston Martin also plans to make an electrified version of its upcoming crossover DBX. In 2015, the company revealed that it will build a crossover SUV called the DBX, which is slated to go into production in 2019. The company has said that it plans to eventually make an electrified version of the vehicle, but it has not given a specific timeline for when it would go into production.